Calling all members – GoBike needs your help! We have some vacancies on our Core GoBike Team that desperately need filled as well as loads of other tasks that you can help with. 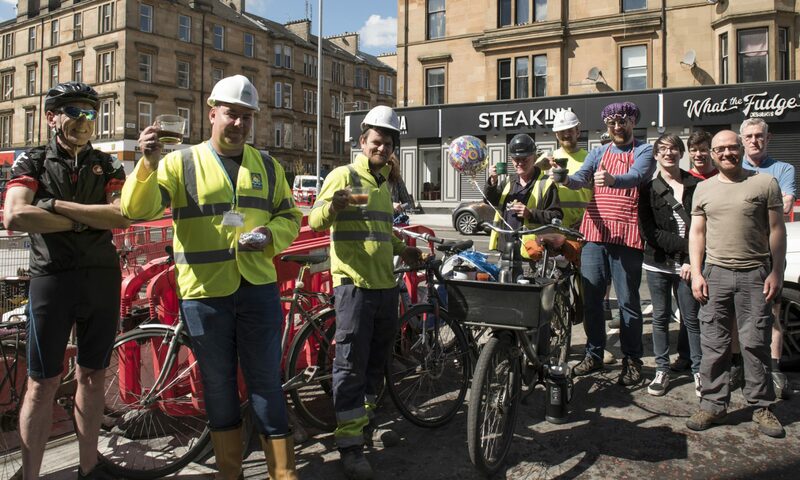 As active travel becomes more prominent and we are starting to see more long needed cycling infrastructure proposed in the West of Scotland, our role as cycle campaigners is becoming even more important. We need more of our members to get involved to help us keep on top of developments and to help us ensure that the new stuff we are getting is well designed. Of course we also have all of the rest of our roads that are not having improvements proposed, where we need to keep pressing for linked up networks. And as ever, we have redevelopment schemes going ahead like last year on Byres Road and this year on University Avenue where safe cycling had/has not been integrated within the plans. And if you aren’t already a member please sign up. Our growing number makes us increasingly stronger. If you can help with one or some of these things please drop us a line to let us know where you’d like to step in and we’ll show you how.